It was Kyrie Irving’s world on Wednesday night at Quicken Loans Arena, and we were all just witnesses. Irving set an arena record by scoring 55 points in the Cavs win against Portland. 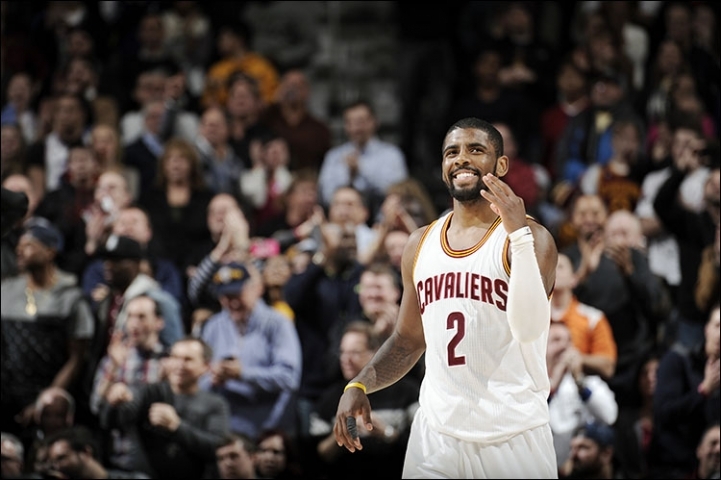 In addition, Irving now holds the franchise record for 3-pointers made (11) and attempted (19). He joins LeBron James and (bonus points if you remember) Walt Wesley as the only Cavs players to break the 50-point mark in franchise history. The win was the eight in a row for the Cavs, but while they have obviously been turning things around for a few weeks now, this win felt different. The other Cavs produced just 44 points (on 17-of-49 shooting). Kevin Love didn’t score after the first quarter and missed his last 11 shots. The Cavs blew an early 10-point lead. The Cavs were 1-8 in games without James entering the night. This is a game that the Cavs would have probably lost just a few weeks ago, but Wednesday night they found a way to win against a quality opponent without James in the lineup and with much of the team struggling. This is also a game that, later in the season, we may look back on as the true turning point to the Cavs season. Interesting comments this week from Joe Haden and Karlos Dansby, defensive leaders for the Cleveland Browns, on the Johnny Manziel front. But rather than echo those anonymous sentiments, Haden and Dansby chose to come out in support of their embattled teammate. 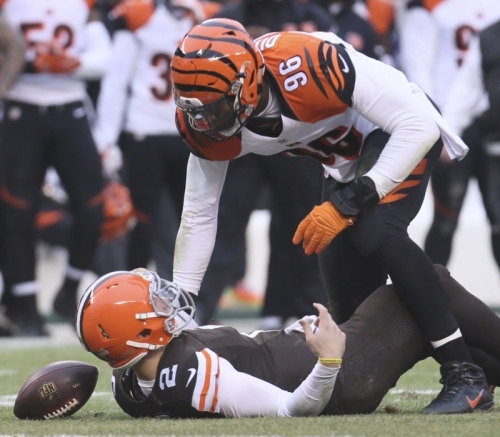 Dansby said that Manziel, like fellow rookie Justin Gilbert, have what it takes to succeed in the NFL – if they are willing to work at it. Frankly, we’ve reached the point where we’re not sure what to make of the whole situation. While it’s great that Haden and Dansby have their teammates’ backs, their words can only go so far. As Dansby pointed out, it’s up to Manziel (and Gilbert) to take ownership of their careers if they want to be successful. As of today, we’re more likely to side with Billick than Dansby or Haden as we are not comfortable with the thought of Manziel taking over as QB1 of the Browns. Over the next seven months it will be time for actions to speak louder than words for Manziel. It was a bit of a mixed bag on Wednesday night in Chile in the opener of what is going to be an interesting 2015 for the U.S. Men’s National Team. Jozy Altidore and Brek Shea looked good in finding the back of the net, and DeAndre Yedlin continues to impress, but the defense was lacking, especially in goal as Nick Rimando let in three goals as he took over for the injured Tim Howard. Rimando’s play reveals what a drop off there is when Howard is not in goal, and make us nervous for the day that Howard is no longer fit for international duty. A more immediate concern, however, is that the loss shows that the U.S. has a lot of work to do as they prepare for a year that will include the Gold Cup this summer and the opening in November of the qualifying for the 2018 World Cup. We’re also going to find out a lot about the core of this squad, which includes 10 players who saw action in last summer’s World Cup who will be playing this year for MLS clubs. If those players want to show head coach Jurgen Klinsmann that playing in the MLS, as opposed to the more talented European leagues, isn’t a mistake, they better be ready to prove it when they take the pitch with the national squad. They can start by reversing a trend that, as Brian Straus at Planet Futbol points out, has seen the team win just one of its last nine matches since beating Ghana in the World Cup opener. The U.S. has now lost three consecutive matches for the first time in eight years, and the loss to Chile represents the fourth time in five games that the Americans have blown a halftime lead. 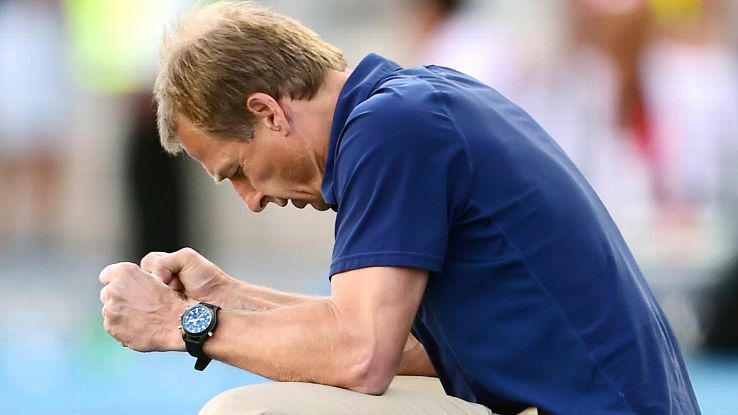 For his part, Klinsmann took a big-picture approach to the match. Klinsmann is challenging the squad with an upgraded slate of friendlies, as the U.S. is scheduled to take on Panama, Mexico, Denmark, Switzerland, the Netherlands and Germany this year. Hopefully raising the level of competition will pay off this summer during the Gold Cup – which may be the first time this year we’ll see the “true” team — and later on this year when the next World Cup-qualifying cycle begins. As long as the Cavs get the win i don’t care how, but it doesn’t look good when the entire team, aside from Irving, scored 44 points. Come follow and keep up with my blog and what i have to say about the Cavs!! !